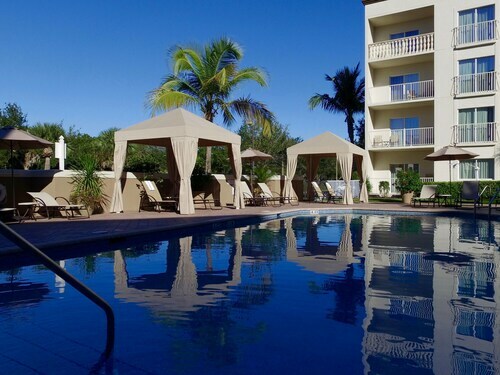 Set on 23 lush, tropical acres alongside the Gulf of Mexico, Naples Grande Beach Resort offers spacious accommodations with stunning views, luxurious spa, 3 signature pools, one with 100 foot waterslide, award-winning tennis and miles of sugar-sand beach. 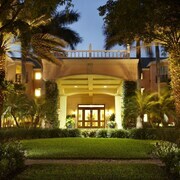 Championship golf is nearby and the upscale Waterside Shops and Artis Naples are within walking distance. 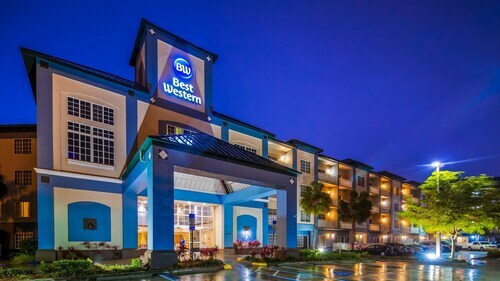 Located on a barrier island in southwest Florida, this hotel overlooks the white-sand beach of the Gulf of Mexico, and sits at the "Gateway to the Everglades." 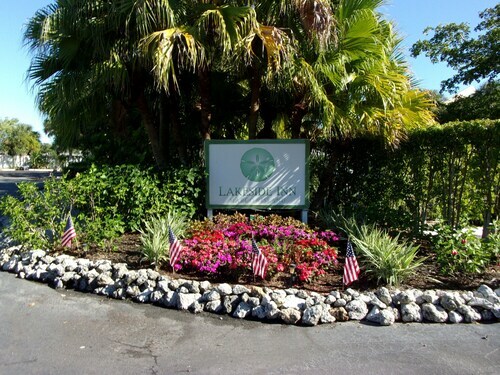 Newly renovated, Naples Beach Hotel and Golf Club features its own 18-hole golf course, designed by Jack Nicklaus and John Sanford, and is located in Old Naples, Caribbean Gardens, and the Old Marine Marketplace at Tin City. 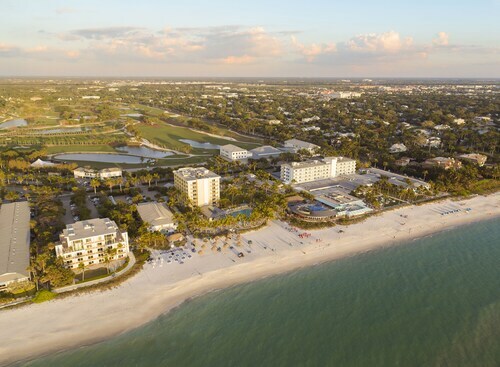 With the Gulf of Mexico at its door, this 11-story white-sand beachfront resort sits on the southwest tip of the island within 20 miles of Naples and 40 miles from the Everglades. 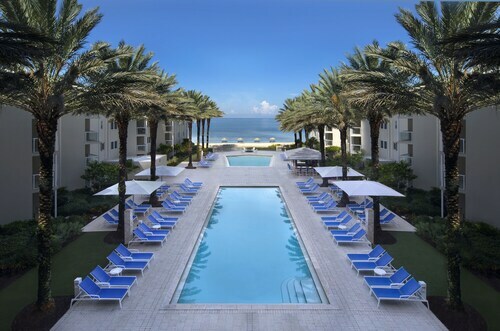 Set on 7 miles of white-sand beach on Florida's Gulf Coast, this modern all-suite hotel is surrounded by estates on Millionaires' Row, 2 miles from downtown Old Naples. 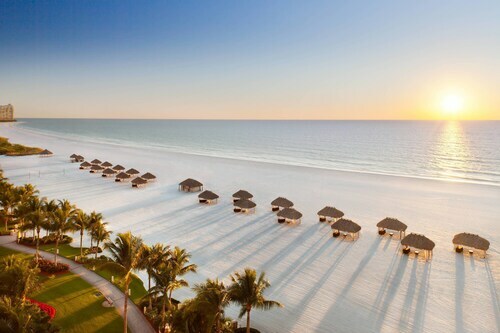 This Marco Island resort in South Florida offers a prime location along a 3.5-mile, white-sand beach washed by warm Gulf waters. Marco Walk Plaza, with shops, restaurants, and a movie theater, is adjacent. 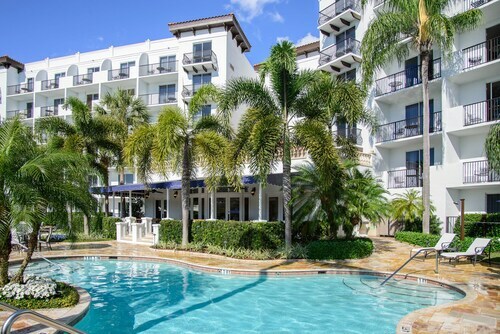 Overlooking a private lake, this Naples hotel is 1 mile from the white sand beaches and clear waters of the Gulf of Mexico, while Naples' chic shopping and dining district are within walking distance. 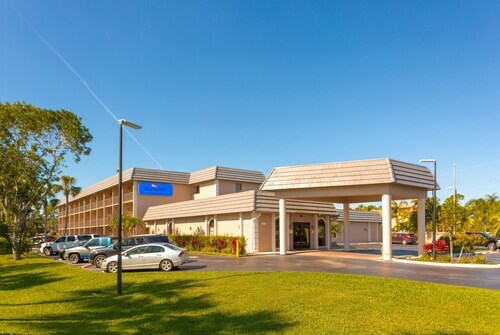 This Naples hotel is across the street from Coastland Center, a mile from Naples Zoo at Caribbean Gardens, and 1.6 miles from the Conservancy of Southwest Florida. 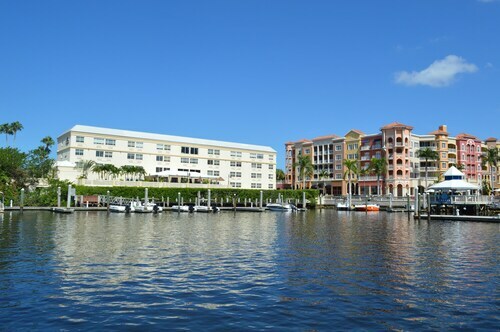 Located in waterside downtown Naples on 5th Avenue, this Caribbean-inspired hotel rests on Naples Bay; an island-themed restaurant provides waterfront seating. 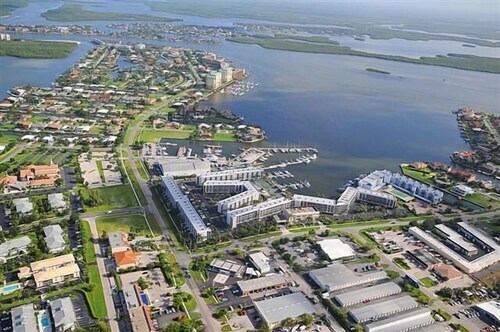 Situated near the bay, this condo building is 0.2 mi (0.3 km) from Rose Marina and 2 mi (3.2 km) from Tigertail Beach. Esplanade Shoppes and Marco Players Theater are also within 15 minutes. 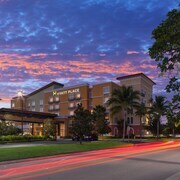 Located in Redevelopment Area, this golf hotel is within a 15-minute walk of Fifth Avenue South and Tin City. 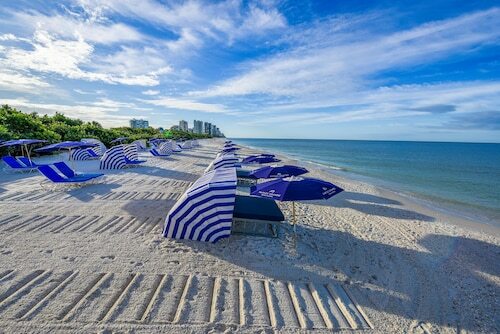 Naples Beach and Naples Pier are also within 3 mi (5 km). The calm turquoise waters of the Gulf of Mexico gently kiss the white sugar sand which mirrors the clouds and sky floating above. The gentle breeze sends welcomed chills down your back, reminding you that you are awake and not drifting away in a wonderful dream. You push your toes deeper into the soft beach while you wonder how much time has passed. A minute? An hour? The clock is an afterthought along this pristine shoreline. 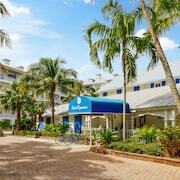 The artifacts of everyday life—like shoes, a phone, and stress—have been left back at your Naples beachfront hotel. Today, nothing matters, save the sand, the surf, and the sky. Tomorrow, your escape from reality continues with sinking a difficult putt on a manicured golf course, finding a one-of-a-kind piece of jewelry at a luxury boutique, and discovering the perfect pairing of fine wine and fresh seafood at an upscale eatery. Such is the life in this south Florida sanctuary of serenity on the Paradise Coast. What are the best beaches in Naples? Barefoot Beach: Voted as the #2 best beach in the nation by Dr. Beach in 2015, this preserve offers over 8,000 feet of shoreline and even has a canoe trail through a mangrove forest. Clam Pass: After a day on the sand, take a stroll along the meandering boardwalk through groves of shady trees that are home to many species of shorebirds. Vanderbilt Beach: If your view of the horizon is not expansive enough from your lounge chair, improve your perspective from the observation tower. 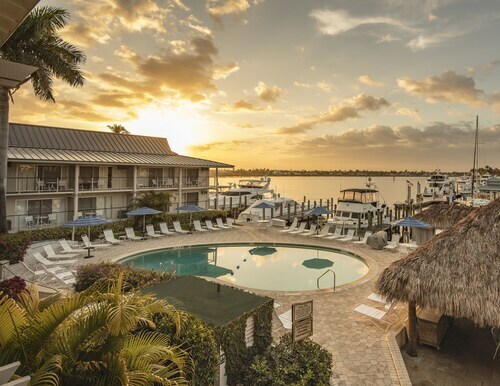 Marco Island: In between tanning sessions, explore the tidal lagoon, home to a variety of conch, needlefish, and horseshoe crabs. Where are the best restaurants in Naples with a view of the water? EJ’s Bayfront Café: Start your day with the best brunch in town where fresh local ingredients and the breeze from the bay wake you up better than a strong cup of coffee. The Blue Heron: For an intimate meal with a breathtaking view, the Blue Heron’s individually prepared dishes and picturesque sunsets please even the most discerning tastes. Bayside Seafood Grill & Bar: With sweeping views of Venetian Bay, adventurous cuisine, and tempting cocktails, this is one of Naples’ most refined upscale restaurants. 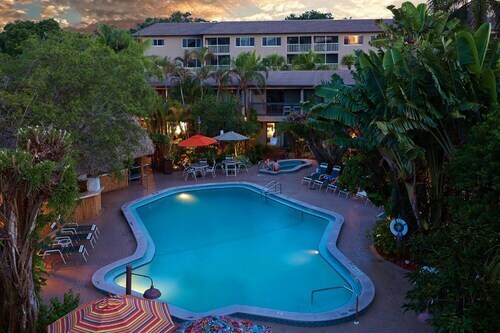 When you book your Paradise Coast vacation through Travelocity, you’ll find a wide selection of lavish accommodations—like the Naples Beach Hotel and Golf Club —at an incredible price. With the money you save, you can buy the earrings to match the necklace you purchased from the boutique on Fifth Avenue. I loved that all units face the water. Rooms were beach and all tile flooring. Great bar off the pool. Excellent restaurant next door. Really glad we stayed here. Highly recommend La Quinta by Wyndham. Everything’s very nice, excellent place to stay! Clean. Friendly staff. Good breakfast, clean area Has plenty of restaurants in area to eat . Its good. The breakfast was great. The cafeteria area its old. Enjoyed the charm of the facility and the spacious, clean room!